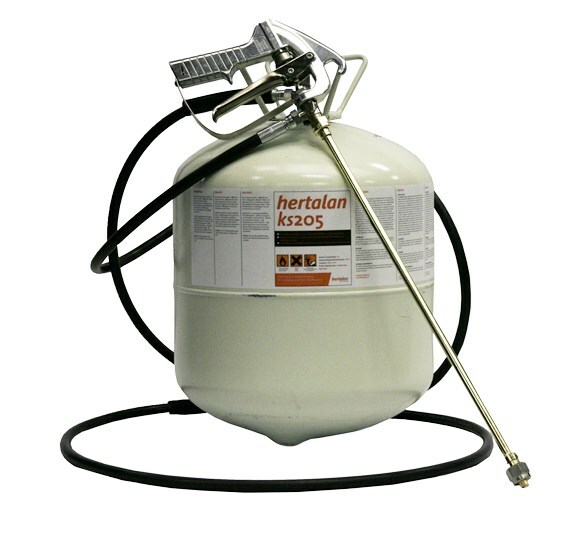 hertalan ks205 contact adhesive in a pressurised canister. 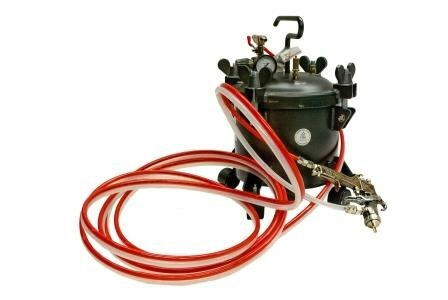 The cannister, hose and gun form one system, in which the hose and gun are reusable. Connection to compressor and / or electricity is not required.